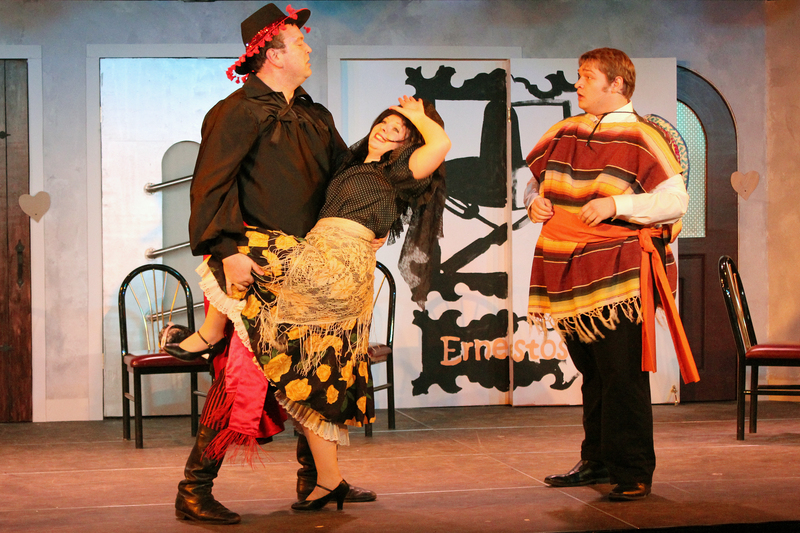 A mysterious masked man (Ryan McGuire Grimes) and pure-hearted peasant (Joseph Pyfferoen) battle vocally for the affections of the fair Rosalinda (Amanda Weis) in Five Course Love. Photo credit: Hennepin Theatre Trust. My review of Minneapolis Musical Theatre’s production of Five Course Love (now playing at the New Century Theatre) for the Twin Cities Daily Planet is now online.